If you have considered the real importance of automation in our day to day activity, then you would not harbor any thoughts of not considering using the Macro express software for your automated chat or text chat both on social media or on your other vendor application. Automation is one great process I have been trying to lay perfection on. 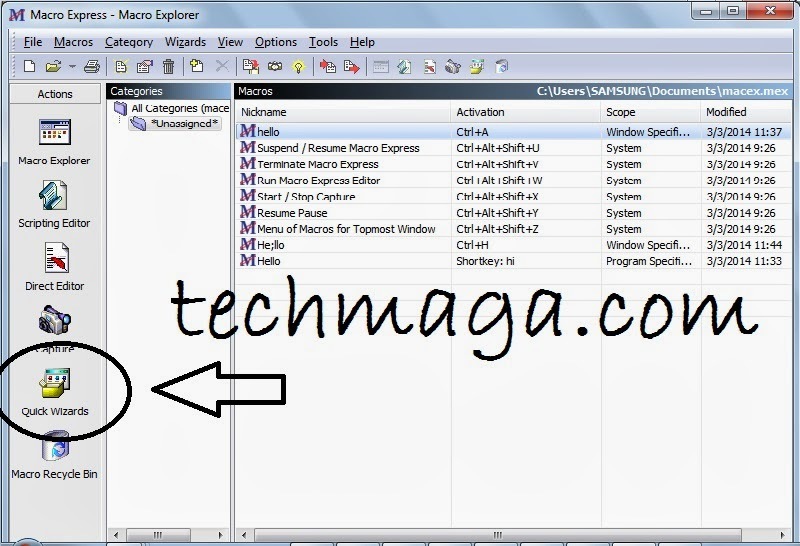 This has in turn brought or will i say develop the soft spot I have for batch file programming because it can really save a lot of persons from the stress of performing singular tasks on daily activities. I came across this software when I was given an assignment, and this has thus far developed my keen interest in the world of automation. Imagine having a lot of friends online and you just wish to give them a reply, you can just make use of the automated text saved in micro express with the short key assigned to them. Now let me break it down. If you got someone asking you “How do you do on facebook”? you can use a shortcut key to reply such person with a text like “I am doing great and you”? There is a lot of benefit attached to this. Firstly, the hassle of typing long words in the chat box just to give him/her that reply will be handled in a prompt and professional way and you can save quite a great deal of time and energy doing this with other persons at the same time. Is That The Only Function Of A Macro Express? Beside this singular function, there are a whole lot of functions attached to the macro express software, which I would love to allow you unveil yourself. Since I will be using it for an automated procedure, i would love you to make some research on a couple of things you can actually use it for.But for the purpose of this tutorial, lets get it rolling for a simple automation. You can download Macro express from the official link. The total size ranges between 20mb to 28mb depending on the updates which may strike out of my capped MB size. >>A window appears showing you a welcome to macro express message. On the series of categories available on that window, select Text and click on the next button. 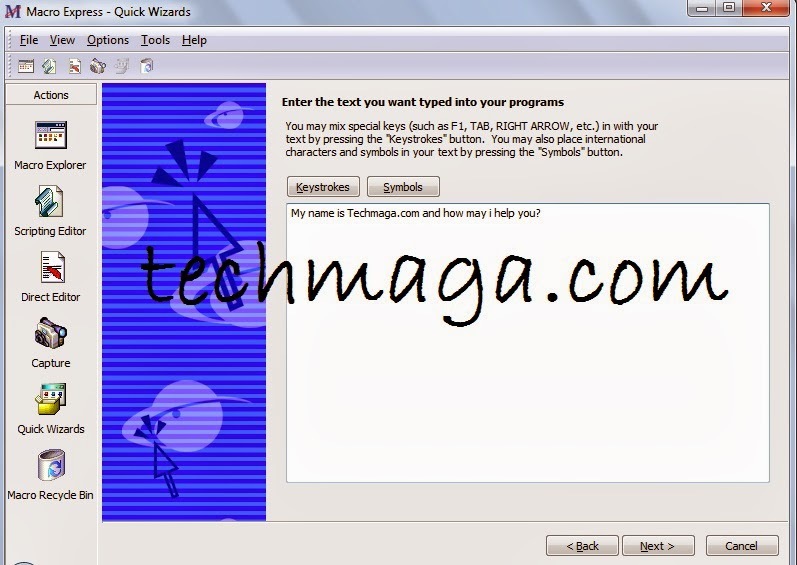 >>On the “please select a wizard” window, select “Type Text Or Keystroke” and click on Next. >>The next window provides you with some information. The window is titled “ Type Text Or Keystrokes.” Just click next to reveal the next window. >>Upon completion of your automated message, click next and select hot key on the “choose activation for macro” option. >> After selection, click on Next and select playback in all programs. You can decide to select the application you want the macro app to function on by choosing “Play back in specific programs.” As for me, I will be using the playback in all programs to make this hot key (CTRL + K) paste the text in any blank field I wish to have my message displayed on. >>Click Next and give your macro any Nickname of your choice. Click finish to save you settings. Open any program or open word. Just use the simple hot key you have assigned for that text on any blank field and your text should be there. Your comments will help me improve on the quality of this post. Please keep it coming so I can tailor you thoughts towards providing better posts option. Well I've used Imacros but never used Macro express seems pretty cool.